Hosted Solutions Dallas | LG Networks, Inc.
You will need advanced software to run your business, but the high cost of purchasing, licensing, and hosting your own applications can power you to make short-cuts. 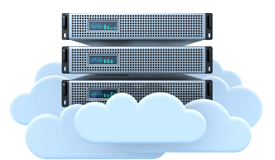 With Hosted Solutions from LG Networks, we web host the application and applications for you, so you can avoid the high in advance costs, management and regular maintenance of the THIS you rely upon each and every day. With Hosted Solutions, LG Networks manages your applications and the hardware infrastructure required to run them, taking care of connectivity, repairs, updates, and maintenance so that there is no impact on in-house IT resources. Want to get more out of your IT investments? Hosted Solutions from LG Networks, Inc. are the answer, with state-of-the-art technology solutions that will leave your business more efficient, organized and profitable. Discover what Hosted Solutions from LG Networks can do for your business.